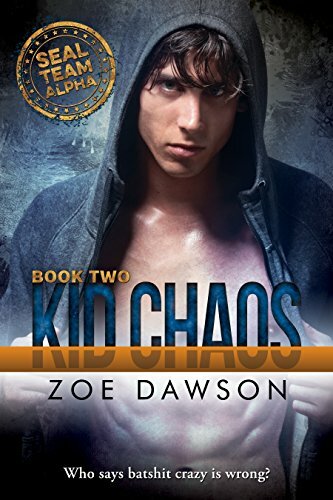 U.S. Navy SEAL Ashe “Kid Chaos” Wilder doesn’t do sedate, so packing a novel and namby-pamby sunscreen for a Caribbean vacation doesn’t float his boat. Instead, he’s going to ride down the world’s most dangerous road on a mountain bike through the treacherous Andes in the wilds of Bolivia. His now ex-girlfriend thinks that he is much too crazy for her, and, sadly Ashe hasn’t found the right woman to understand or tolerate his daredevil proclivities until he runs smack dab into Paige Sinclair. She’s not only as audacious as he is, but their chemistry is off the charts. NCIS agent Paige Sinclair is undercover in La Paz, Bolivia. She’s been tasked with investigating one of the co-owners, a former CIA operator, of a tour company for his possible involvement in arms theft that left two MPs dead. When she meets Ashe, and sparks fly, she loses her head and has a thing with him, not expecting it would go anywhere, her job took up all her time. Except when the investigation heats up, she’s thrilled to have a well-trained Navy SEAL covering her back. As they join in battle to find the weapons and stop the bad guys from selling them to terrorists, those sparks turn into a flame that could heat up the Andes.